For the first-timer to the avid fisherman, something for the entire family! 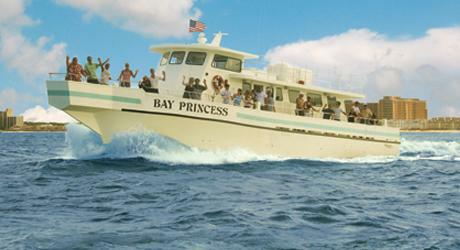 Dockside Fishing Center offers a variety of fishing trips on a year round basis. The fleet at Dockside has been known by local fishermen for over 35 years. All of our boats are U.S. Coast Guard inspected and equipped with the latest in fish finding technology. Bait and tackle along with helpful tips from our experienced crew are included on all of our trips. We are located just minutes from some of the best fishing the Chesapeake Bay has to offer. We also fish off the coast of Virginia Beach during the spring and fall for sea bass and tautog. Late fall and winter bring world class striper fishing to the shores of Virginia Beach. So if its your first time or you’re an avid angler, we offer the Virginia Beach Fishing Trip thats right for you. Give us a call for up to the minute prices and schedules.